Ready-made color stories are all around us — in stylish housewares, decorator pillows, and designer fabrics. Let their color palettes do the work for you! 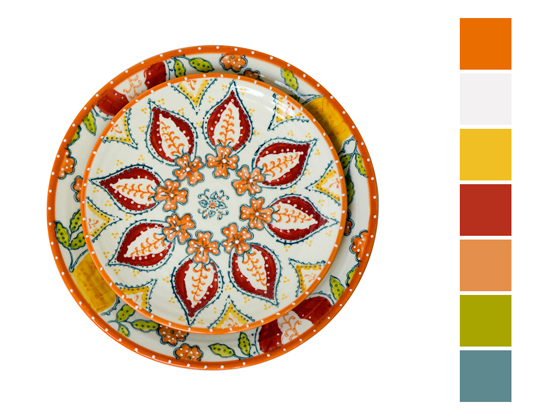 Dinnerware is a one-stop shop for pretty palettes. Plates come in all styles and colors, from casual to formal, so you can pick out a color story for every room in the house. And you needn’t buy a service for eight. Often you can get a single salad plate or teacup to use as your mood board. How to use this hot plate? 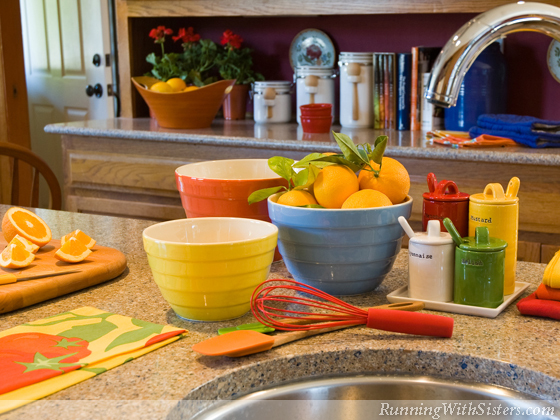 If you want to freshen up your kitchen, but you can’t afford to change the counters and cabinets, you can accessorize! Take your sample plate with you to pick out dishtowels, canisters, and bowls. It may not seem like a big makeover to get bright new spatulas, but when you put them all together, colorful details make a splash!